Stop straining to see the words and graphics on your small laptop screen and upgrade to a sleek ASUS monitor. Learn more about the great features you can find on these impressive monitors. 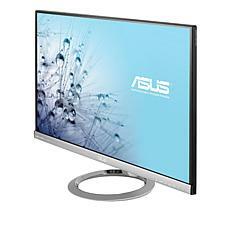 After you've picked out a powerful ASUS desktop computer, you'll want to select a monitor to go with it. 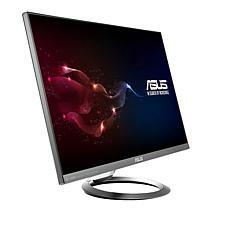 ASUS computer monitors come in a variety of sizes to suit your needs. 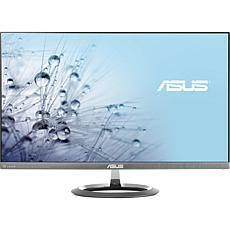 You can also choose either a high-definition monitor or LED monitor. Both styles offer sharp and clear graphics to make it easier to watch videos, play games, or do work. 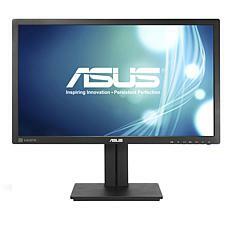 Additionally, ASUS LCD monitors come with special features to make work and play easier for you. You can get monitors that have technology that helps reduce eye strain if you have to spend a few hours in front of the screen. Or you can choose a frameless monitor for a sleek screen that looks just as good as it performs. You can also find monitors that offer streamlined cables to help keep your desk neat and clean. 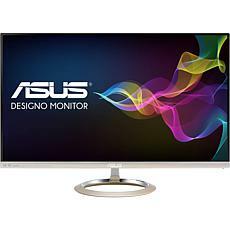 When you're interested in upgrading to a new ASUS computer monitor, be sure to shop the excellent selection available at HSN.